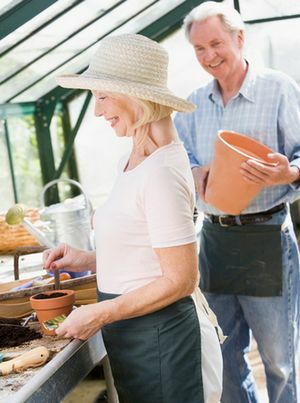 Couple planting seeds in a greenhouse. How to Save and Store Flower and Vegetable Seeds for Next Year. When you plant vegetable and flower seeds in your garden, you may end up with more seeds in the packet than you can use. What should you do with those extra seeds? You can sow seeds more thickly now and thin out the seedlings later or share the seeds with friends. You can also save the extra seeds for next year. Most vegetable and flower seeds remain vigorous for three to five years when stored properly. To save leftover seed, keep it in its original seed packet, if possible. This way you still have the planting and care instructions. Place seed packets in a tightly closed glass jar and put the jar in a cool location. A refrigerator is ideal, but a cool closet or the freezer also works well. Seeds from some plants quickly lose their vigor, or ability to germinate, quickly. For these plants, use fresh seed each year. Vegetable seeds you should purchase new every year include sweet corn, parsnips, parsley, onions, and okra. Flower seeds to avoid saving include delphinium, gerbera, viola, and the regal Easter lily. You can check your seeds’ vigor by placing a few seeds between two layers of moist paper towels. Put the towels in a plastic bag and punch a few small holes in the bag so air can circulate. If only half the seeds germinate, you should throw them out or sow them thickly to get a good stand. Some gardeners collect seeds from their garden plants to use the next year. However, you should avoid saving seeds from hybrid plants. Seeds saved from this year’s hybrid plants produce plants next year that are of variable and lower quality. You may also transmit diseases and insects into next year’s garden through the seeds. In addition, biennial vegetables such as beets, cabbage, carrots, rutabaga, and seeded onions don’t even produce seeds until their second year, after they overwinter in the garden. Despite these problems, there are times when saving seeds is worthwhile. Saving certain seeds allows you to grow old heirloom plant cultivars or unusual, hard-to-find plants. You can also harvest seed from rare wildflowers and propagate these plants without disturbing the mother plant in the wild. To save bean and pea seed, let the seed pods fully mature and turn brown. Harvest the pods, let them dry for one to two weeks, and shell the pods. Store the seeds in a paper or cloth bag. To save lettuce and most herb seeds, harvest the seed stalks before the seeds completely dry out and fall to the ground. Dry the seed stalks in a paper bag for two weeks in a warm, dry place. Shake the seeds off the stalks and store the seeds under cool, dry conditions. 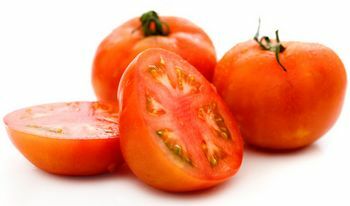 For tomatoes, pick the fruits when fully ripe. Cut out the pulp and store it in a sealed plastic bag to ferment at room temperature. After three to four days, you can easily remove the seeds from the pulp. Use a strainer and rinse the seeds. Set the seeds on a paper towel to dry for two days and then store them in a cool, dry place. Four different sets of illustrated seed packets, free to print. Each one stores a teaspoon or so of seeds; perfect for sharing seeds from your garden with friends. Plants whose pollen spreads from plant to plant, either by insects or wind, need special care to pollinate. Avoid drying to save seeds from these plants. If you’ve ever grown seeds from pumpkins or squash, you know the great variety of plant types that emerge from the seeds you saved. Pumpkins, for example, can be pollinated by cucumbers. Next year’s pumpkin/cucumber cross will not produce tasty fruit. Commercial seed companies, with their specialized technology, produce high-quality seeds at a low cost. Don’t try to skimp by using low-quality seeds; this only creates a year’s worth of disappointment. Use quality seed, and look for cultivars that are resistant to disease and insects. Also, look at drought tolerance and yield. When choosing flowers, look for prolific bloomers.